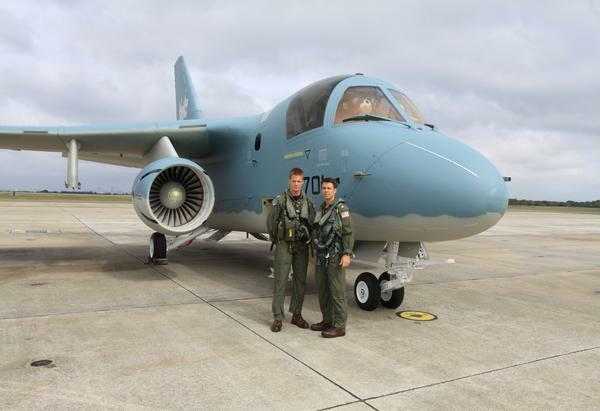 Although the flight that launched naval aviation is being commemorated Nov. 12 in Norfolk, the Navy will officially celebrate 100 years of naval aviation throughout 2011, as the first naval aircraft were requisitioned 100 years earlier. The year will be filled with events across the country, starting with the Feb. 10 kickoff event in San Diego — roughly 100 years and a few weeks after civilian aviator Eugene Ely made the first aircraft landing on a warship. Flyovers and vintage aircraft will play prominently in the events, and part of the fun will be the vintage paint schemes some current Navy, Marine Corps and Coast Guard aircraft will be featuring — such as the 1942 battle paint scheme recently applied to an S-3B Viking at the Fleet Readiness Center Southeast in Jacksonville, Fla.
“We wanted to participate in the centennial and pay tribute to our heritage,” said Naval Air Test and Evaluation Squadron 30 commanding officer Cmdr. John Rousseau. “We chose a paint scheme from 1942 to commemorate the Battle of Midway, the turning point of the war in the Pacific.” The S-3 squadron’s early roots can be traced back to the carrier-based torpedo squadrons that fought in the Pacific during World War II. 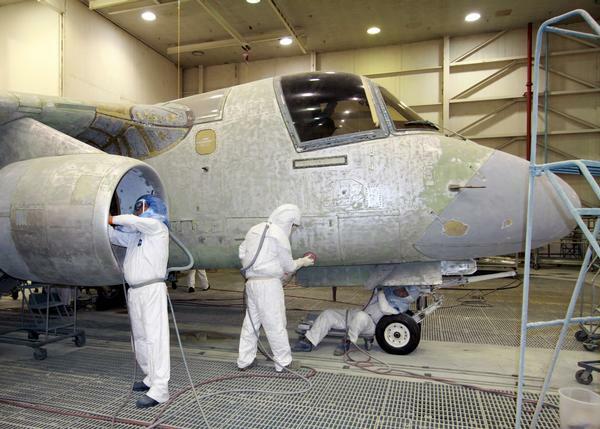 The S-3B’s overall special paint scheme copies what was then standard: a camouflage of blue gray over light dull gray. 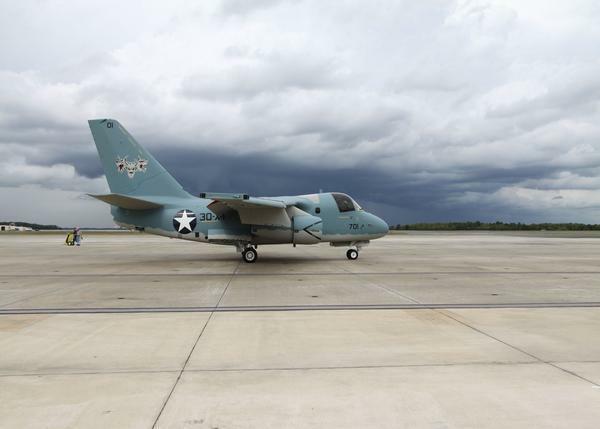 Some 20 Navy aircraft, both fixed-wing and rotary-wing, will also get a heritage makeover reflecting various eras of naval aviation, officials say. 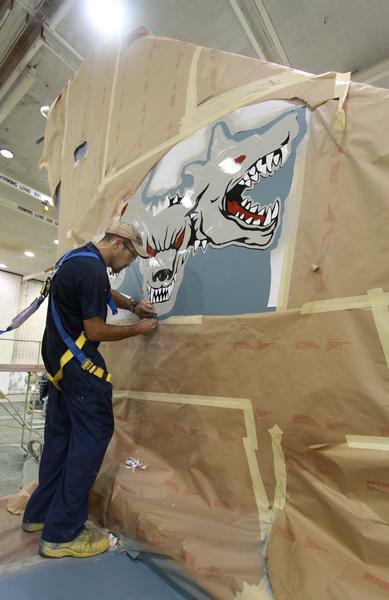 FRCSE artisans will apply a similar WWII paint scheme to an F/A-18 Hornet strike fighter in the next two weeks. Painters will also modify the “Fly Navy” motto beneath the Hornets used by the Blue Angels to commemorate the centennial of naval aviation.